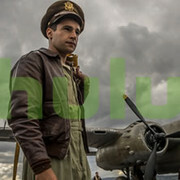 This film is so moving and beautiful! It raises awareness for cystic fibrosis, and also inspires the audience to live life to the fullest and not take anything or anyone for granted. Truly beautiful film! 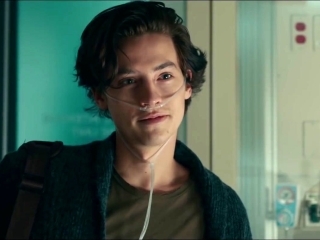 A couple, Stella (Haley Lu Richardson) and Will (Cole Sprouse) meet 'cute' in a hospital. 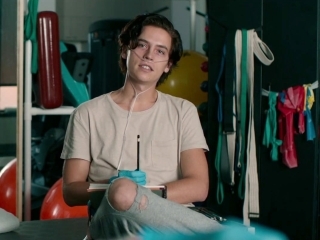 They are both teenagers and both have cystic fibrosis, with Stella awaiting a lung transplant and Will just started on a drug trial for a bacteria he carries that can be lethal for another CF patient.A couple, Stella (Haley Lu Richardson) and Will (Cole Sprouse) meet 'cute' in a hospital. They are both teenagers and both have cystic fibrosis, with Stella awaiting a lung transplant and Will just started on a drug trial for a bacteria he carries that can be lethal for another CF patient. They are, of course, complete opposites with Stella being a control freak, along with being OCD, who has a video blog and Will is a cartoonist and believes in breaking rules just for the sake of breaking them. 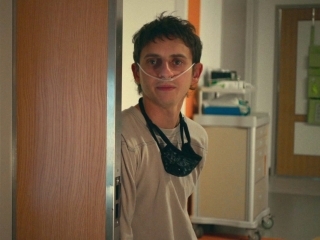 Oh yes, in case this all sounds familiar Stella has a Gay BBF, Poe (Moises Arias) also with cystic fibrosis, who is the wisecracking comic. 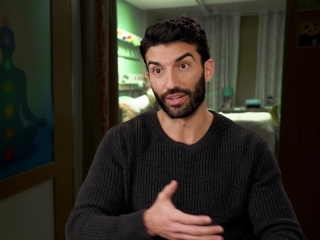 Though "Five Feet Apart" may sound like other young adults with illnesses love story but the director Justin Baldoni and screenwriters, Mikki Daughtry and Tobias Laconis add special touches. Instead of lectures about CF Stella points out most of the must-knows in her vlog with humor and at one point half the audience yelled out "NO!" 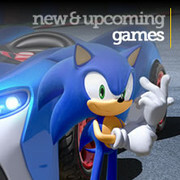 at what was about to take place. At another point what you expect to happen doesn't---or does it? 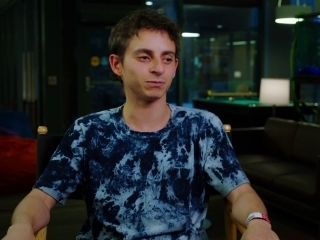 The three leads are perfect in their roles with Moises Arias as the gay friend having two high points one being very funny with Will accusing Poe of being in love with Stella and later explaining one of the major fallbacks of an illness that isn't often thought of in this kind of movie. 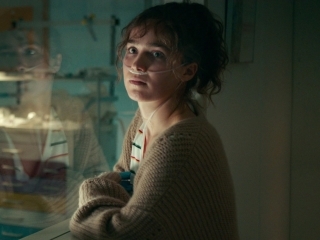 Haley Lu Richardson brings humor and gravitas to her ever-optimistic though a strict with herself patient who is carrying a secret that I didn't get until it was spoken. 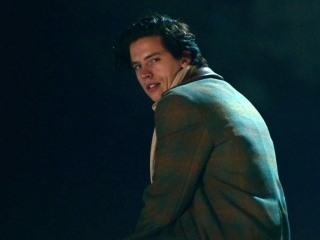 Cole Sprouse is a handsome actor who has a very annoying hairstyle and not necessarily the chemistry he should have with Richardson but he has the charm to win over everyone, including the audience. Everyone should have a nurse like Nurse Barb/Gregory. 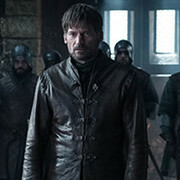 There are shots that you will think are not following the rule about staying a certain distance apart but the direction shows what seems a closeup is really the angle of the camera. The story is easy to follow and you can always guess what will happen next. Still, it's a cute and lovely movie. 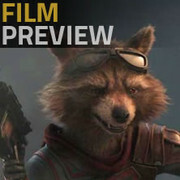 the film depends a lot on personal emotional, contains many clichés, the really begins between the true beginning and the middle. 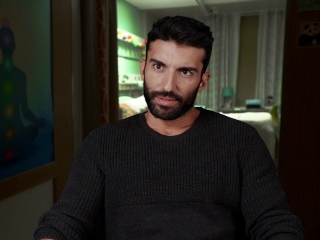 Apparently couples with illnesses are the new niche for romantic films in Hollywood. And not that there are many but the truth is that this film made it clear that there is very little to grab within that theme. 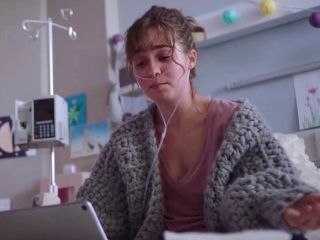 Five Feet Apart will remind you in seconds of The Fault in Our Stars andApparently couples with illnesses are the new niche for romantic films in Hollywood. And not that there are many but the truth is that this film made it clear that there is very little to grab within that theme. 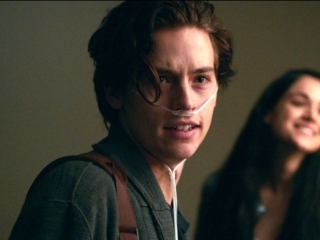 Five Feet Apart will remind you in seconds of The Fault in Our Stars and although the diseases are different, the characters are tremendously similar. 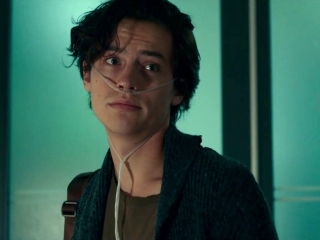 She's the smart one and fully aware of her illness while he's the risky guy and too cool for the rules but although on one hand Ansel Elgort had charisma, Cole Sprouse cannot help feeling arrogant and unfriendly. 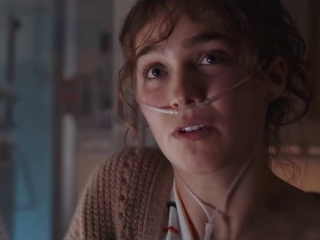 Haley Lu Richardson tries but it's clear that the script allows very little. 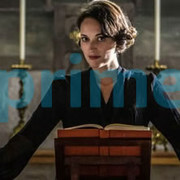 This girl has more talent than shown here and she should definitely look for better roles.